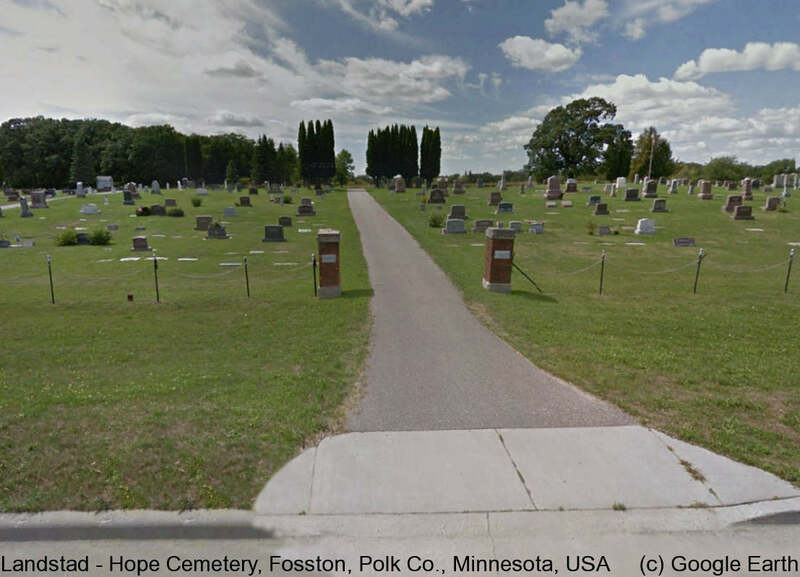 The Cemeteries operated by the Hope Lutheran Church of Fosston, Minnesota Landstad Cemetery, Also known as "Hope", will be governed by the by-laws. The by-laws also govern Poplar River Cemetery and Brandsvold Cemetery. Kingo part lies to the south end of the Landstad-Hope Cemeteries. Landstad-Hope lies north side of the flag.